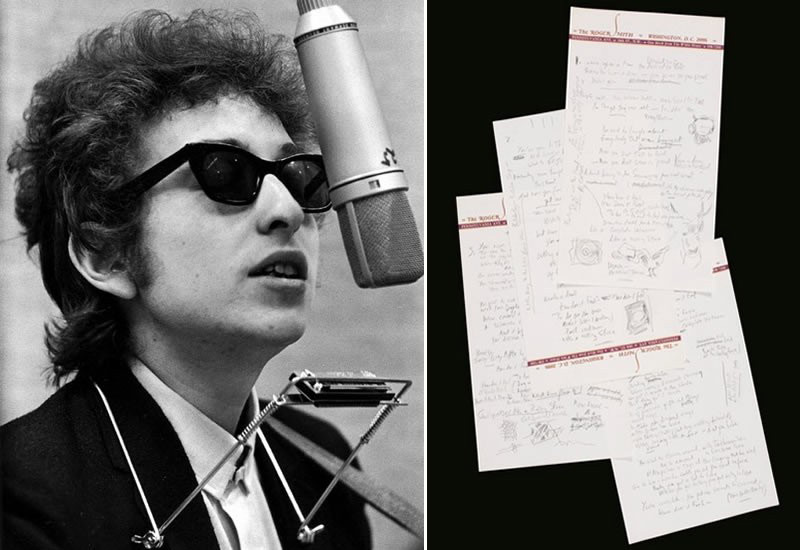 Bob Dylan’s handwritten manuscript for “Like a Rolling Stone” sold for just over $2 million at Sotheby’s auction house in New York on Tuesday, which is world record for Rock and Roll manuscript. The previous record was $1.2 million for John Lennon’s lyrics to The Beatles’ “Sgt. Pepper’s Lonely Hearts Club Band.” “It is always pleasing to set the world record. It carried a strong estimate (up to $2 million) as well, and we felt the estimate was justified given the importance of the work,” said Richard Austin, Sotheby’s head of books and manuscripts. 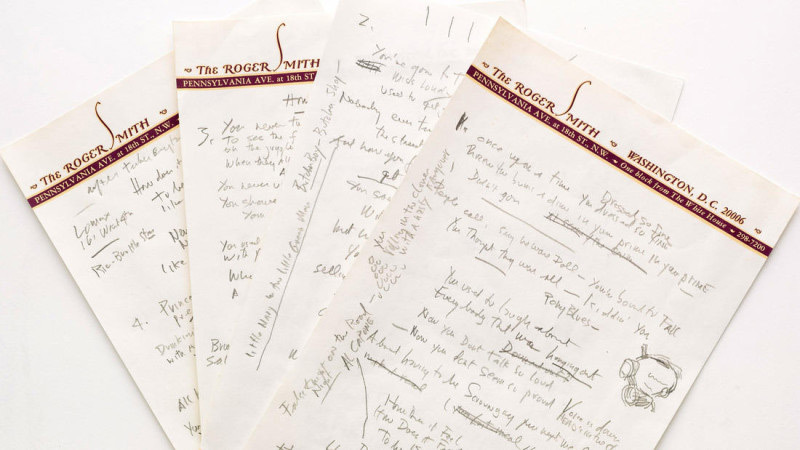 The 1965 manuscript, penned by Dylan, is “the only known surviving draft of the final lyrics for this transformative rock anthem”, Sotheby’s said. The draft is written in pencil on four sheets of hotel letterhead stationery with revisions, additions, notes and doodles: a hat, a bird, an animal with antlers. The stationery comes from the Roger Smith Hotel in Washington DC. He later recorded the song when he was 24 years old. The manuscript for Dylan’s “A Hard Rain’s A-Gonna Fall,” which fetched $485,000, was the second highest selling lot, followed by the Vox guitar organ, a hybrid instrument given to the Beatles by the inventor in 1964, which sold for $305,000. Sotheby’s auction, called “A Rock & Roll History: Presley to Punk,” which also featured collections from The Beatles, Elvis Presley, The Rolling Stones and Joni Mitchell among others, brought in a total of just over $4 million.